I am finally showing you the sunglasses I choose from Mr.Boho, this amazing sunglasses and watches brand that need no introduction! It was quite hard to choose, but I decided for this tortoise model more intemporal, what do you think? This Zara tartan coat has been my great friend for these cold days! Estou finalmente a mostrar-vos os óculos de sol Mr. Boho que eu escolhi, esta marca incrível de óculos de sol e relógios dispensa apresentações! Foi uma escolha difícil, mas optei por este modelo tartaruga mais intemporal, o que acham? Este casaco tartan da Zara tem sido o meu fiel aliado para os dias mais frios! lovely outfit. love the jacket. That coat is absolutely gorgeous :). So are the glasses :)! Gostei muito estás muito gira! 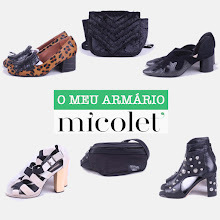 Adoro as botas, que gira!